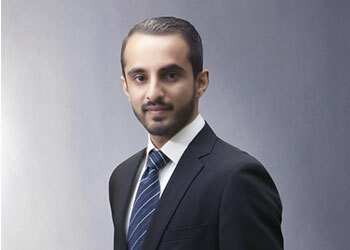 Nader Nawaz | TPL Trakker Ltd.
Mr. Nader Nawaz completed his BA (honors) in Business Administration from Holborn College, London in 2009 and has been in the field of Human Resources since then. He brings with him 9+ years of experience in Human Resources Industry with strong business acumen. He is currently transforming TPL Corp as the Head of Human Resources by designing and implementing end to end Human Resources Strategy & Policies in alignment with business strategy. A highly personable, competent, and team spirited professional with diversified experience in human resources areas i.e. Recruitment, Organization Development, Compensation & Benefits, Remuneration Surveys, Human Capital Planning, Policy administration. He has proven abilities to work with senior management to strategize HR function in line with company target / objectives. He is a dynamic team player with strong Analytical, Interpersonal and Leadership skills with his objective being to work in an exciting, challenging and professional environment of the organization putting in commitment and hard work.